Did you love the LEGO movie? Are you inspired by Alfred Hitchcock and other professional filmmakers? Would you like to learn how to use the LEGO blocks in your house for more than building? If so, then this book is for you. From lighting to storytelling, this guide will lead you through making your own stop-motion animation films with LEGOs. You may have seen the LEGO movie. Now it’s time for you to be the director and make your own. 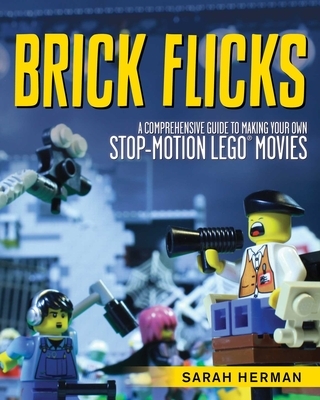 This guide will walk you through the steps of making a LEGO movie. It covers crafting a story, cinetech, animation, and the dynamics of making your vision come to life. Become a filmmaker and learn about directing with this clever and thorough guide. Sarah Herman is a British writer, editor, and LEGO lover. She has written for Total Film, Star Wars Insider, and the official magazines for TV shows including Lost, Heroes, and Torchwood. She is the author of two other LEGO-related titles, A Million Little Bricks and Extreme Bricks, as well as other books including The Classic Guide to Famous Assassinations and Does Anything Eat S**t? She resides in Norwich, England, where she works as an editor for The Lab Magazine.